Less than two weeks before Christmas, the Elite: Dangerous developer has laid off 14 employees. The Kickstarter for Elite: Dangerous is slowly climbing toward its Â£1.25 million ($2 million) goal, but the pre-holiday news for 14 employees at Frontier Developments isn't very merry. Effective this past Friday, December 14, the studio laid off nine employees in the art department, three in animation and two in audio. Managing Director David Walsh said the cuts were made necessary by "the changing mix of skills requirements for our current and future projects" and added that Frontier's prospects "remain healthy." "Once we took the decision to make the roles redundant, we felt it was better that the affected people knew ASAP so they can plan any further expenditure over the Christmas period accordingly and focus on their search for new roles as soon as possible," Walsh told Eurogamer. "We have provided redundancy arrangements in excess of the minimum." The exact nature of those arrangements was not revealed. 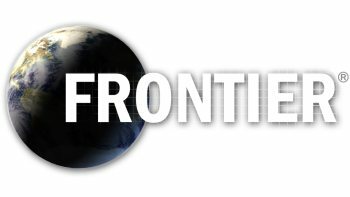 The cuts are relatively minor - prior to the layoffs, Frontier employed 233 people - but in spite of Walsh's suggestion that the studio was somehow doing its former employees a favor by letting them go now, it's hard to imagine how the timing, less than two weeks before Christmas, could possibly be worse. We wish the best to all who were affected.